By Murtala Adewale and Abba Anwar, Kano. Former Governor and Senator representing Kano Central, Rabiu Musa Kwankwaso, yesterday insisted that Commissioner of Police in Kano, Rabiu Yusuf, must be held responsible for whatever happens in Kano. The Police in Kano had on Friday, warned Senator Kwankwaso to shelve his proposed visit to Kano on January 30, 2018, citing security threats and palpable tension trailing the proposed visit. Addressing journalists yesterday in Kano, Kwankwaso who revealed that the commissioner of Police was already compromised and partisan in favour of Governor Abdullahi Umar Ganduje accused the CP of improper conduct. Kwankwaso who pointed that the Commissioner of Police is under obligation to protect life and property during his visit insisted that the planned visit would not be shelved. 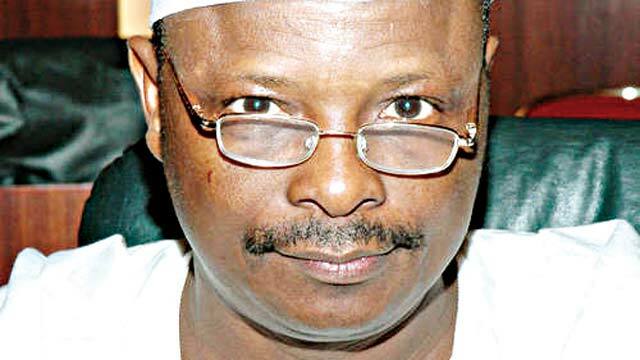 Speaking through the former Secretary to the State Government, Rabiu Bichi, Kwankwaso insisted that since the CP was aware of the planned violence against his visit challenged the Police boss to neutralize the threat, saying unless the Police will consider the agents of violence above the law. Kwankwaso, who accused the CP of misdemeanour and professional incompetence, noted that the Police have refused to act on the series of petitions written to it over open threats to his life by alleged government sponsored thugs. Alleging that Governor Ganduje had already vowed not to allowed him visit Kano, Kwankwaso disclosed that the governor had deployed his commissioners for Special duties Abdullahi Abbas; Water resources, Musa Illiasu Kwankwaso and the self-appointed campaigner for President Buhari, Abdulmajid Danbilki Commander to orchestrate the plans. The chairman, Reception Committee of the visit, Bichi, referred to the many incidents that took place in respect to the much-talked-about visit, stressing, “On December 16, 2017 and 15/01/2018, Musa Iliasu Kwankwaso, was on air and publicly declared on Radio Express 90.3 FM and Radio FM Pyramid 103.5, that they will never allow the Senator to come and that he was giving notice that whichever day he chooses to come they will arrange a political programme to counter the visit.